The latest investigation update on the outbreak of Listeria monocytogenes infections (listeriosis) linked to commercially produced, prepackaged caramel apples was reported by the CDC and FDA Friday and Saturday. On Friday, the United States Food and Drug Administration (FDA) announced the results of findings from additional tests performed on samples collected from Bidart Bros. apple processing plant. Test results confirm two strains of Listeria monocytogenes were found at the apple processing facility and are believed to be the same strains associated with the outbreak. Those same strains were also found in Bidart Bros. apples collected from a retailer by the FDA. 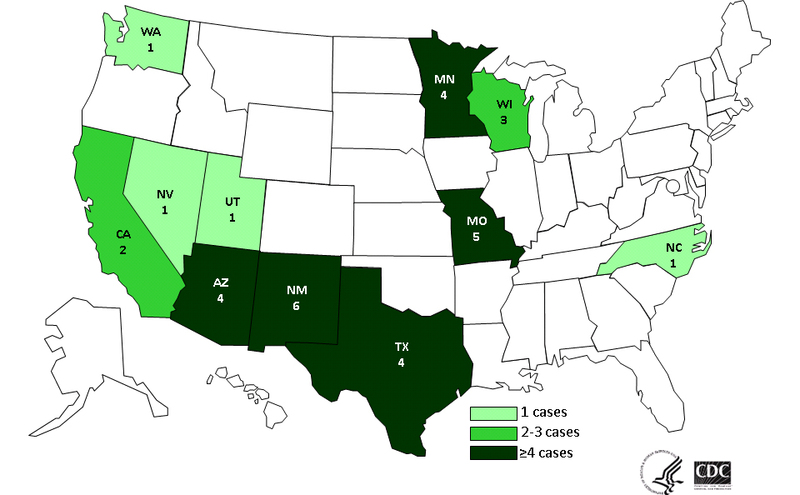 As of January 10, 2015, a total of 32 people infected with the outbreak strains of Listeria monocytogenes had been reported from 11 states (see below). Thirty-one ill people have been hospitalized, and seven deaths have been reported. Listeriosis contributed to at least three of these deaths. Ten illnesses were pregnancy-related (occurred in a pregnant woman or her newborn infant), with one illness resulting in a fetal loss. In addition, The Public Health Agency of Canada (PHAC) has identified 2 cases of listeriosis in Canada with the same DNA fingerprints, or pulsed-field gel electrophoresis (PFGE) patterns, as seen in the US outbreak. 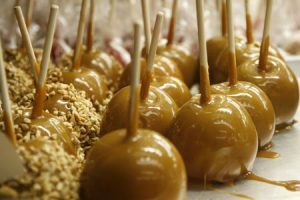 Three companies have issued voluntary recalls of caramel apples because they have the potential to be contaminated with Listeria monocytogenes. These companies are: Happy Apple Company of Washington, Missouri; California Snack Foods, of El Monte, California and Merb’s Candies of St. Louis, Missouri. To date, 25 (89%) of the 28 ill people interviewed reported eating commercially produced, prepackaged caramel apples before becoming ill.
Leonard Bidart, President Bidart Bros. made the following statement following learning of the FDA testing results: “The results are devastating to the Bidart family. As a family-owned grower operating in California since the 1930s, we place safety at the forefront of everything we do. Our hearts go out to all who have been impacted by the apple-related listeriosis outbreak. Given the findings from the latest test results, and out of an abundance of caution, the company has instituted a voluntary recall of all Bidart Bros. Granny Smith and Gala apples still available in the marketplace.